NBC 5 Investigates has learned passengers on four Southwest Airlines flights in Texas may have been exposed to measles in the last 16 days. 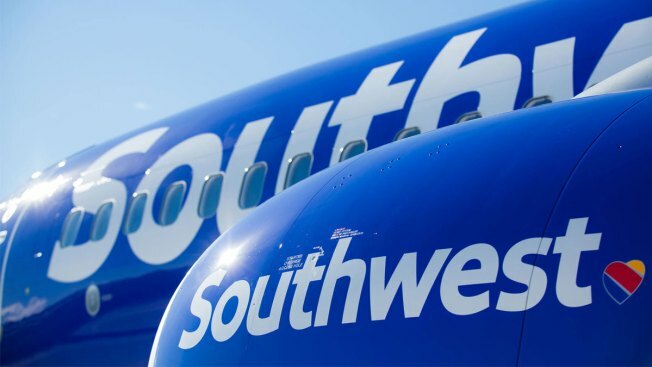 Southwest Airlines confirmed passengers on two flights in and out of Dallas Love Field are among those who may have been exposed and that they are working with the Centers for Disease Control and Prevention to notify passengers who were on the flights. The CDC typically notifies passengers within two rows of an infected person, but with Southwest's open seating policy it's hard to know who sat where so everyone on the flights will be notified. Passengers on those four flights are now being told to monitor themselves for symptoms of the measles, including fever, cough and a rash. Measles is highly contagious and is spread through the air when people cough or sneeze. The Dallas County Health and Human Services Department reached out to one passenger with a letter that warned "the incubation period can be up to 21 days after exposure. It is very important for you to watch for symptoms of measles through Sept. 11, 2018." A passenger who received that letter, Monica Nicholas, told NBC 5 Investigates she is now concerned about some symptoms she has. "Mostly, like I said, rash appeared on my legs. I did speak to the health department and explained my symptoms, so their advice was to go to the doctor. They didn't think that it may or may not be measles but they advised me to visit my physician," Nicholas said. Southwest Airlines said their fleet is subjected to rigorous cleaning and that every aircraft uses hospital-quality HEPA air filtration in the cabin. Additionally, they have also notified employees on those flights of the situation. Health officials said they have not seen any case yet where passengers on those flights have become infected with measles but they're asking passengers to monitor themselves closely.